HAVE YOU EVER THOUGHT ABOUT BUYING A USED BMW VEHICLE? Here at Century West BMW, our team is dedicated to providing you with a variety of vehicles that exude excellence, regality, and reliability on the road. Have you ever thought about buying a used vehicle, though? Used vehicles are an incredible investment, as they have low price tags, excellent capabilities, and durable reliability. This means that you can save money on your purchase, while still receiving the excellent abilities and features you love behind the wheel. In essence, with our used vehicles, you can extend the value of your dollar, and get an incredible vehicle in the process. 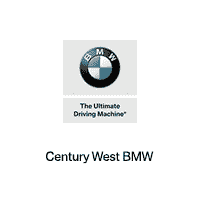 If you would like to learn more about our selection of automotive options, or if you have any questions about used vehicles in general, visit us at Century West BMW in Studio City, CA. Our team would be happy to assist you with your automotive needs. We serve drivers throughout Studio City, Glendale, West Hollywood and Los Angeles. 0 comment(s) so far on HAVE YOU EVER THOUGHT ABOUT BUYING A USED BMW VEHICLE?